And welcome to the 6th installment of 365 days of peace. 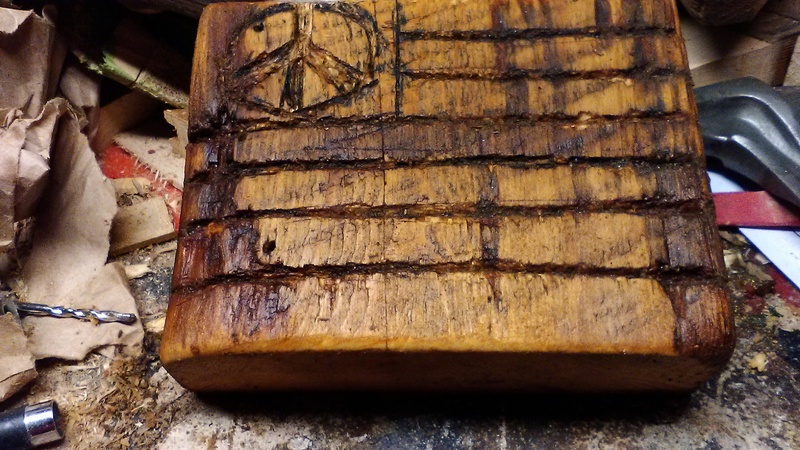 This is another section of the pine beam that I used in yesterday’s peace sign. I used dull chisels, mineral spirits and a fine point felt tip marker to carve out 13 stripes and the peace sign. This entry was posted in 365 days of peace, barn board, on-going projects, wood working by brighid. Bookmark the permalink.